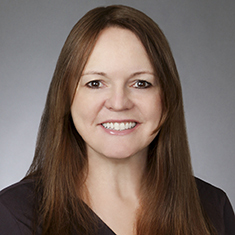 Claudia Callaway leads the firm's newly formed Platform Lending Initiative. In this role, she focuses her practice on defending clients against state and federal class actions regarding consumer protection and consumer finance laws, representing clients before the Consumer Financial Protection Board (CFPB), the Federal Trade Commission (FTC) and state banking agencies, and assisting clients in adhering to the dynamic landscape of platform and peer-to-peer (P2P) lending. Having represented clients before the CFPB since it was established, Claudia understands the varying perspectives of key stakeholders involved, and helps clients navigate the hurdles, pitfalls and opportunities available to the numerous parties involved under the CFPB's jurisdiction. Working with banks, credit unions, platform lenders and other financial services clients, Claudia provides pragmatic advice on numerous state and federal banking and consumer protection matters, including privacy, collections, credit reporting and usury issues. She also assists clients with the enforcement of arbitration provisions and class action waivers. In Claudia's regulatory practice she represents a bevy of financial services clients, including installment lenders, collection agencies, money transmitters, state and federally chartered banks, mortgage servicers, credit card issuers, and credit reporting agencies in a broad range of regulatory issues before federal and state agencies and self-regulatory organizations (SROs) nationwide. Claudia is also recognized as a veteran in the platform lending space, which enables her to provide her clients with real-time updates and developments in this ever-changing landscape. She has spoken numerous times on issues related to merchant cash advance, crowdfunding, business-to-business and P2P consumer finance, and brings a holistic understanding of the technical, regulatory and financial complexities within the platform lending arena. Claudia represents consumer lenders, third-party debt collectors and other consumer financial services clients in class action suits and litigation around the country, in many cases to prevent class action suits before they happen. She frequently handles cases involving the Dodd-Frank Act, the Truth in Lending Act (TILA), the Equal Credit Opportunity Act (ECOA), the Fair Debt Collection Practices Act (FDCPA), the Fair Credit Reporting Act (FCRA), the Gramm-Leach-Bliley Act and the Federal Trade Commission Act. She advises on state unfair and deceptive trade practices laws, and removal of class actions to federal court under the Class Action Fairness Act (CAFA). In addition to her client responsibilities, Claudia has also served as an adjunct professor at Georgetown University Law Center and American University Washington College of Law, taught in Georgetown's Criminal Justice Clinic and acted as faculty advisor to the national champion Georgetown Patent & Copyright Moot Court Team. Claudia serves on the board of directors for the Washington Lawyers' Committee for Civil Rights and Urban Affairs, and on the board of directors for the Bridges Public Charter School in Washington, DC. Shown below is a selection of Claudia’s engagements.